I remember loving scavenger hunts when I was little, the excitement of getting a clue right and advancing to the next one. So much fun! 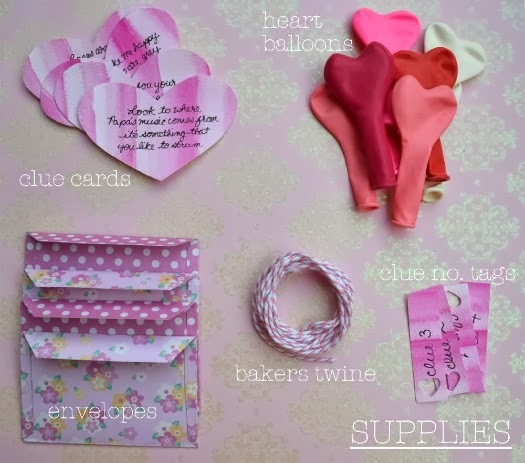 If giving chocolates or flowers isn't your thing, why not create a tailor made scavenger hunt for the one(s) you love this Valentine's day. To begin grab some supplies. 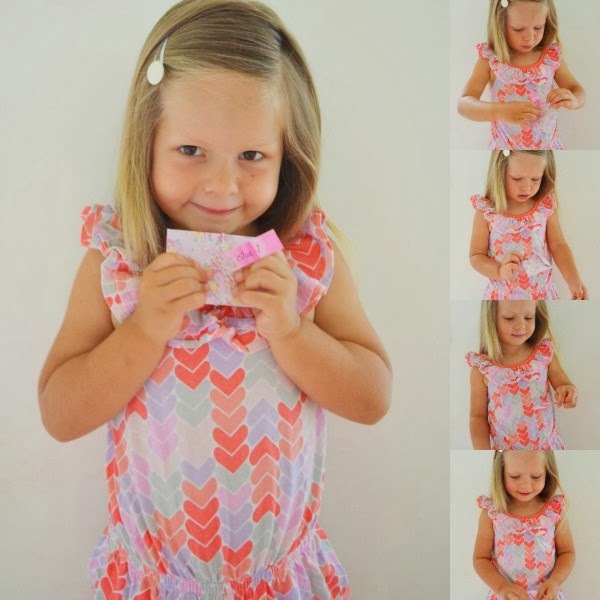 You can use pre made little cards to write your clues on or you can make it extra special by making your own. I drew a heart on some card stock to make a template, then using my template, I traced four hearts onto watercolour paper. Next I used pink watercolour and using varying amounts of water (depending on if I wanted a stronger hue or lighter) and painted straight lines in one brush stroke up my paper. This technique gave a lovely ombre effect. 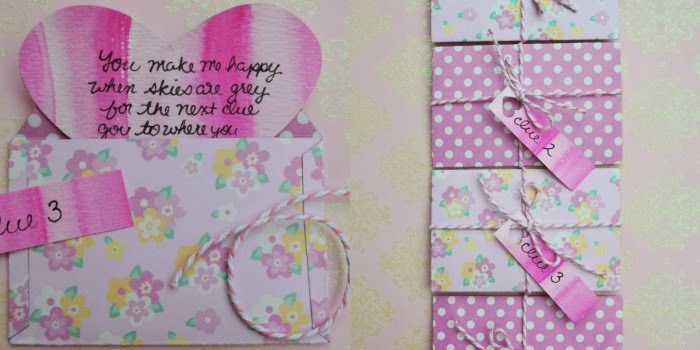 After I made the heart clue cards I made matching envelopes with some pretty flower and polka dot scrapbook paper. Clue 1: roses are red, violets are blue, go to where you keep your glue. Clue 2: Look to where papa's music comes from, it's something that you like to strum. for the next clue, go to where you lay. Once you have written your clues onto your clue cards. Place them in their envelopes and tie them closed with baker's twine. I also made little clue number tags in the same way that I made the clue cards and tied them onto the front of the envelopes. Alternatively, you can simple write the clue card number on the envelopes. Next, place your envelopes in their secret locations. Now it's time to exercise your lungs and blow up some balloons! I blew up 12 small heart balloons but the more the better I say. Find a closet that you can give as the location of your last clue and stuff all of the balloons inside, the higher the better so they cascade down when the door is opened (this part may require an extra set of hands). You are now all set to begin the hunt, just give the first clue card to your loved one.